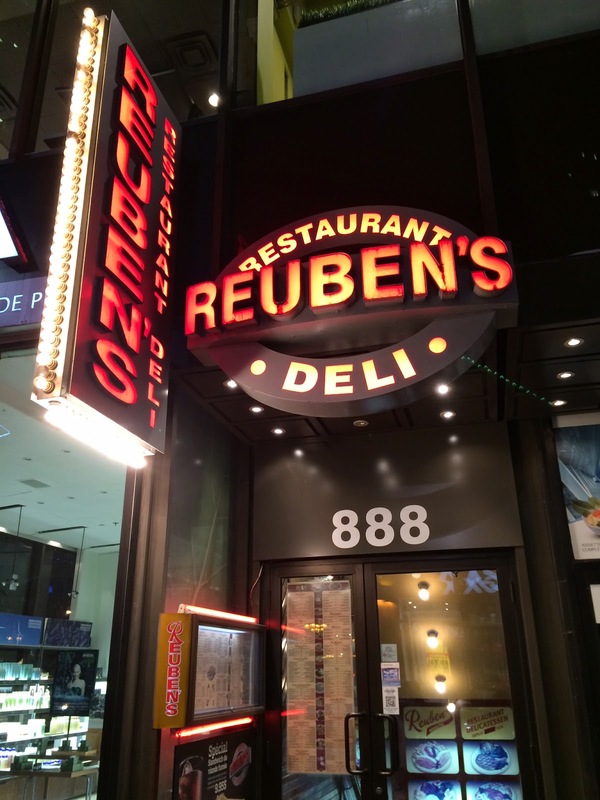 We stopped by at a deli called "Reuben's" on St-Catherine after watching a movie to have a late night dinner. We're there around 10 PM but luckily they're still open and we're seated soon. 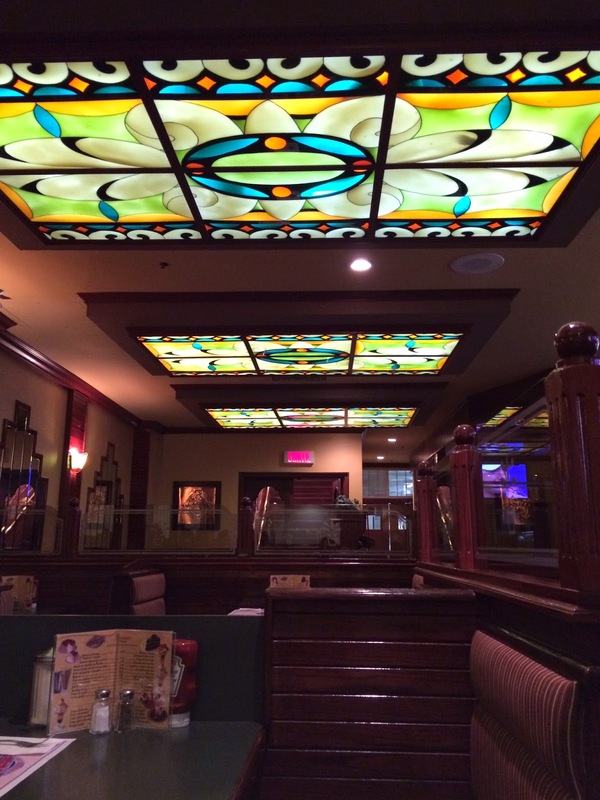 The interior was retro and I think they've kept it as it is since the establishment, 1976. On the menu, there're many items. 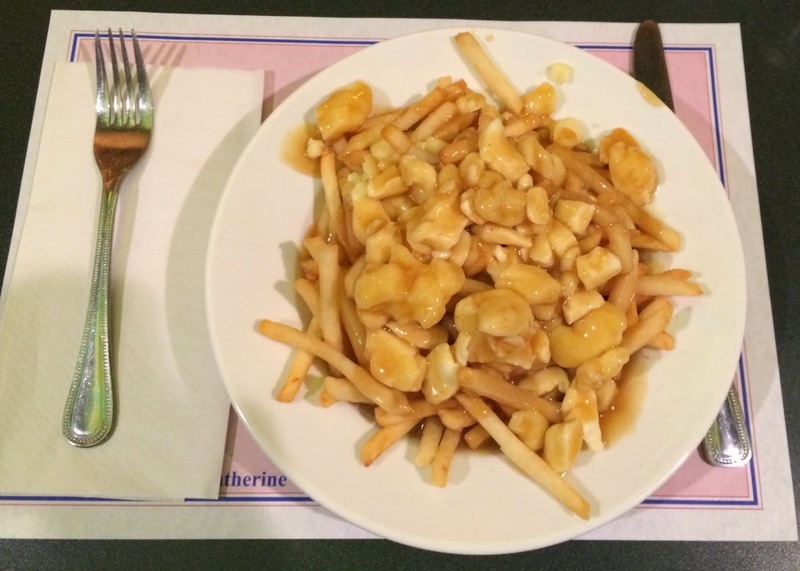 Of course they had poutines and as they're famous for smoked meat, they had smoked meat poutine also. While my husband ordered smoked meat sandwich, I got a regular poutine. 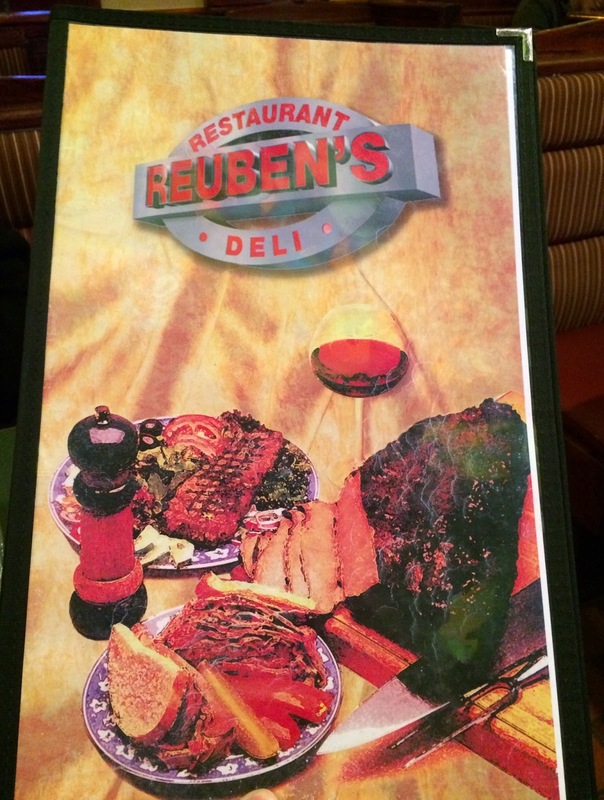 My husband was asked if he wanted to get lean or fatty meat, and it's our first time to be able to choose from. The dishes were prepared very quickly and serviced in like 10 minutes or even less. And I was surprised to see a large bowl as it's a small size. 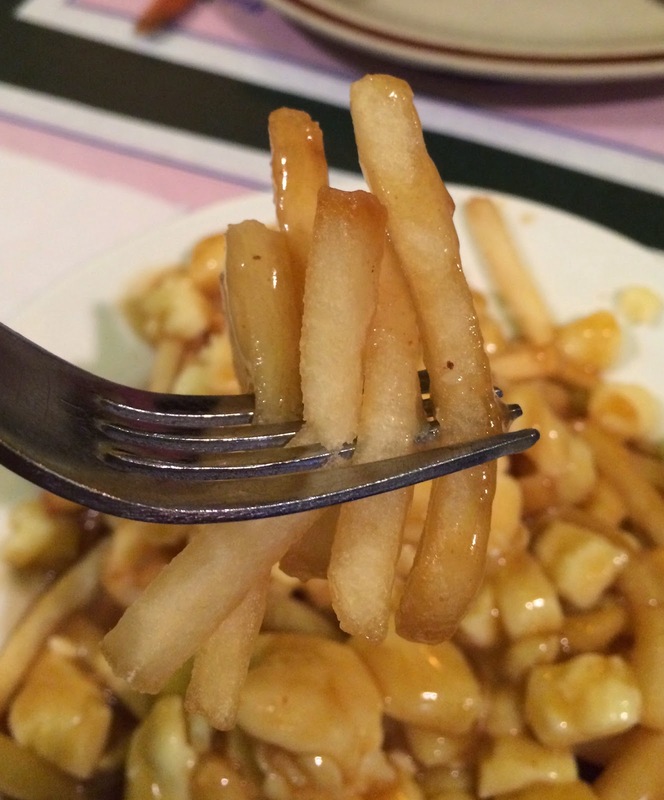 Lots's of pale colored skinny fries and cheese curds covered with light brown gravy sauce. Fries were slim and light color, and I think it's because they're not twice-fried potatoes. They're not crunchy but crispy. 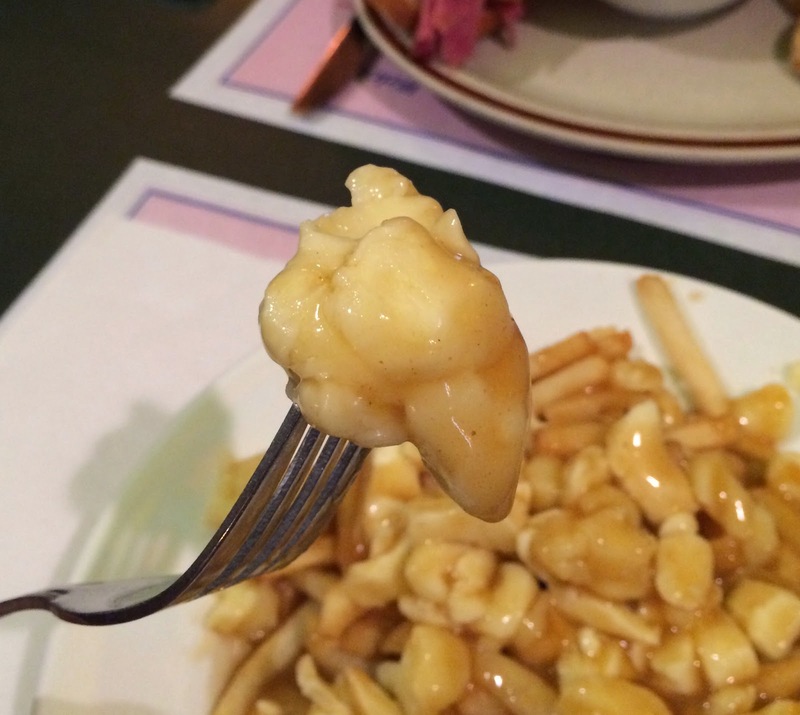 Cheese curds were slightly soft but as they used cold ones, they still had some squeakiness. Gravy sauce was light and not too salty. Maybe it's chicken based gravy as the color was light. It had subtle bitterness like celery and all had black pepper flavor. 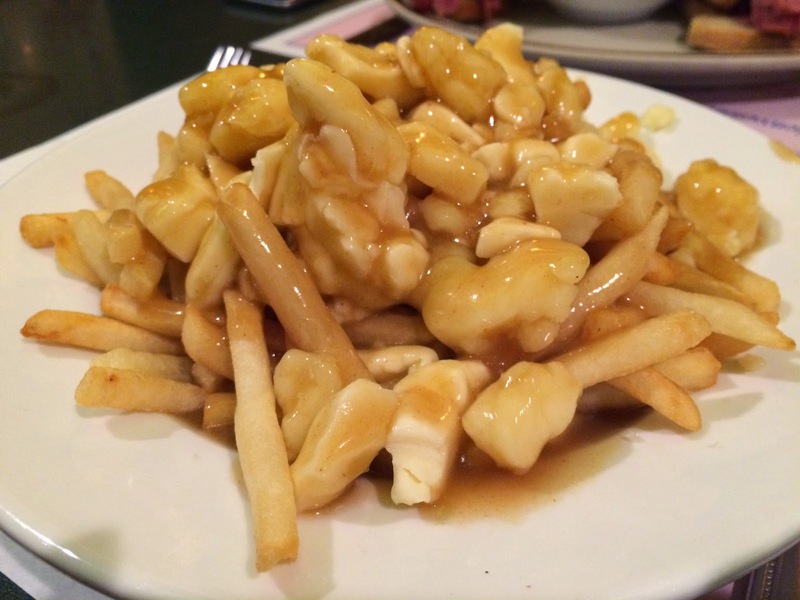 This poutine would be great for if you want not heavy poutine and to have a quick meal.